Has removable plastic protective cover. Ex library. Jane and Penny wanted to have a pony of their very own. When their father buys Freckles for them, they learn - often the hard way - how to feed, groom and look after her, as well as cope with a variety of pony emergencies. They also learn about the cost of keeping a pony and prepare for their first gymkhana. 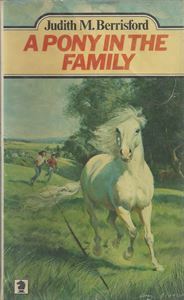 This book will be a valuable guide to all those who want to keep a pony of their own but are not sure what it involves.